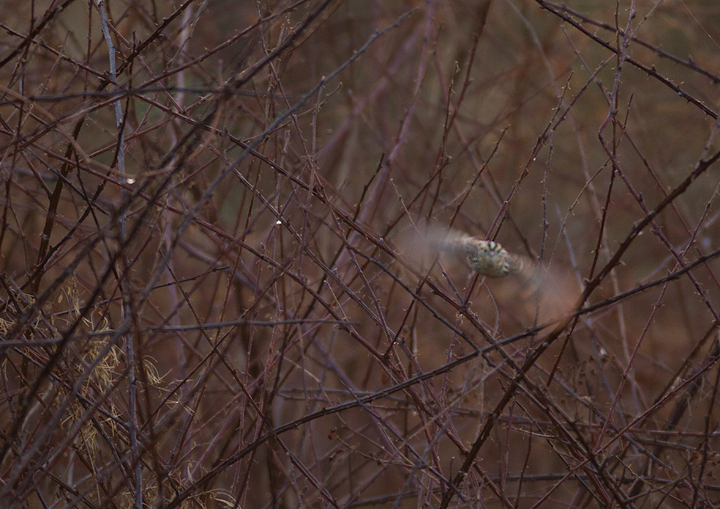 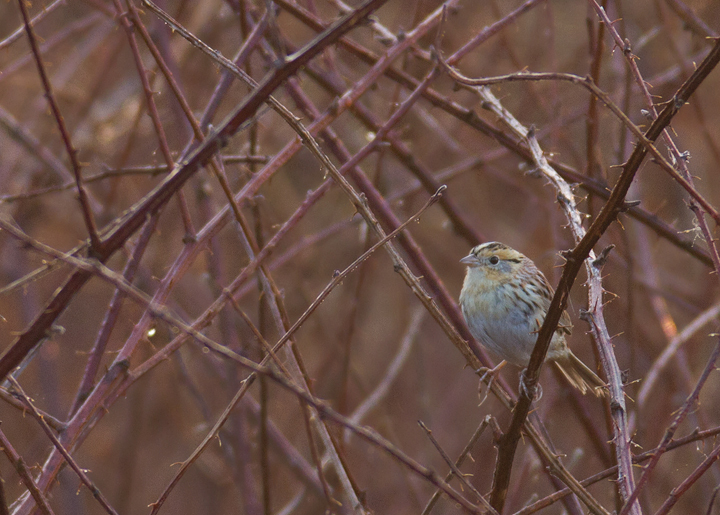 Bill Hubick Photography - Maryland - Le Conte's Sparrow in Baltimore Co. 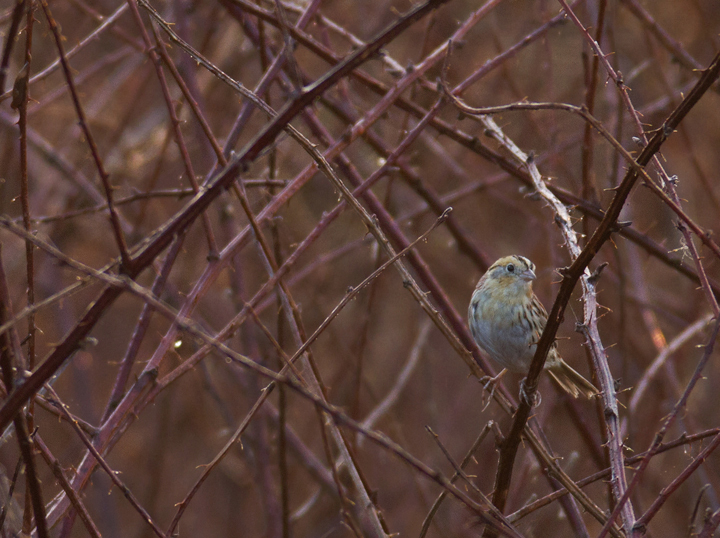 Le Conte's Sparrow in Baltimore Co., Maryland. 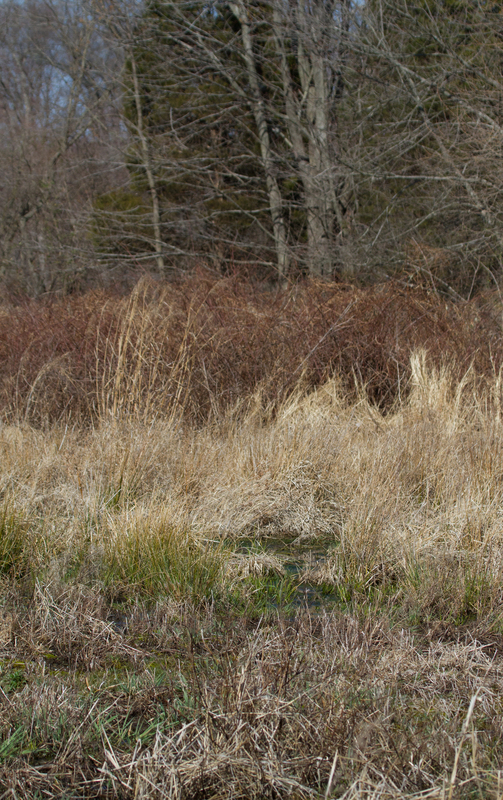 Last updated: 3/17/2012. 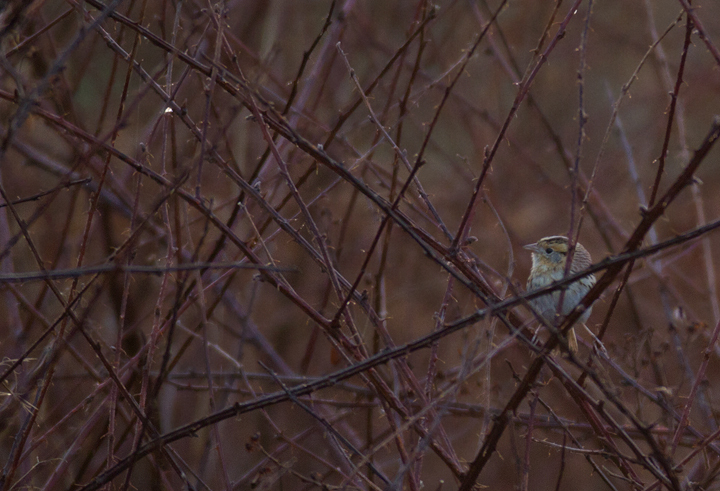 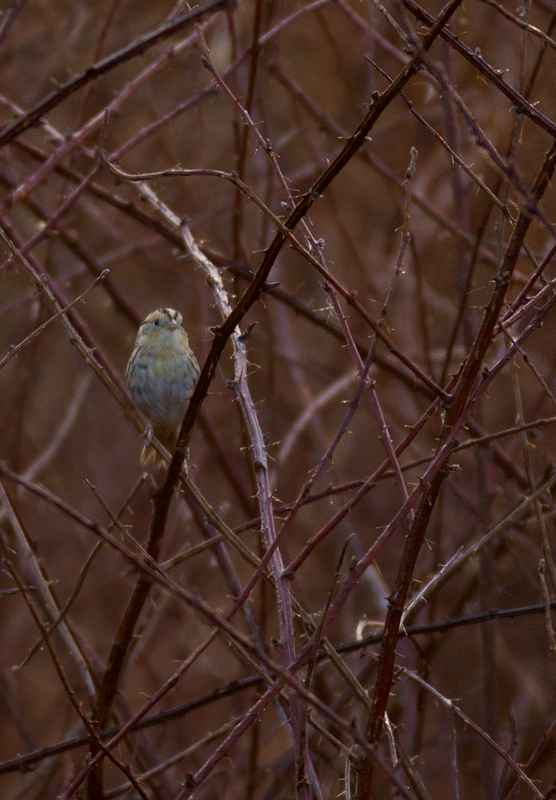 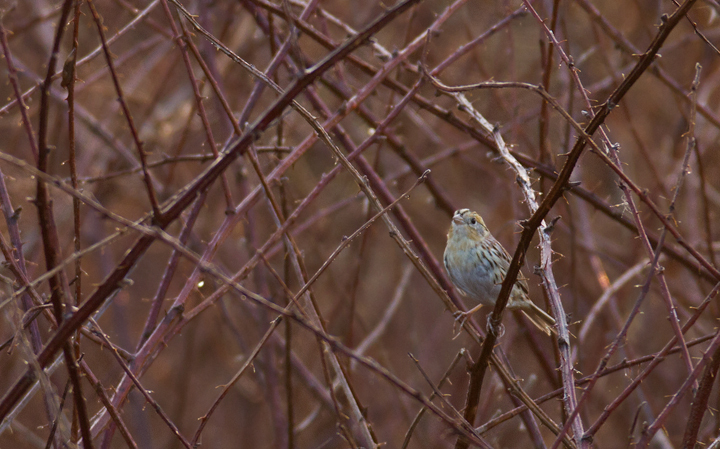 Above and below: A Le Conte's Sparrow at Irvine Nature Center in Baltimore Co., Maryland (3/17/2012). 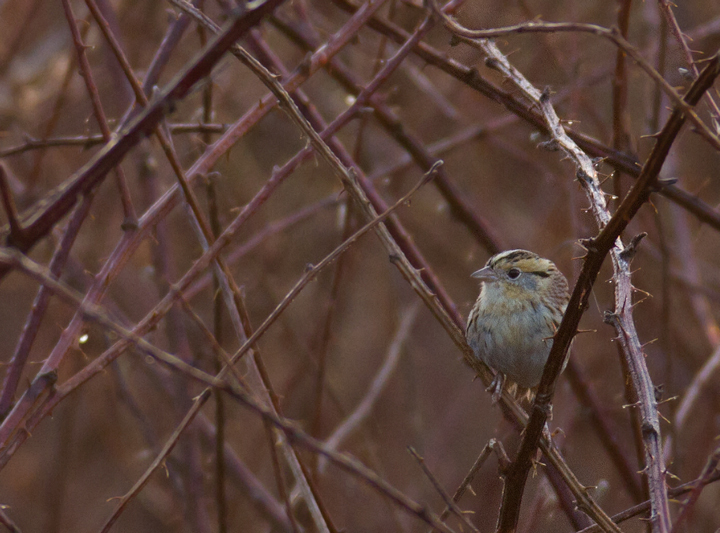 Found on 3/11 by Keith Costley, this is the first record for Baltimore Co. 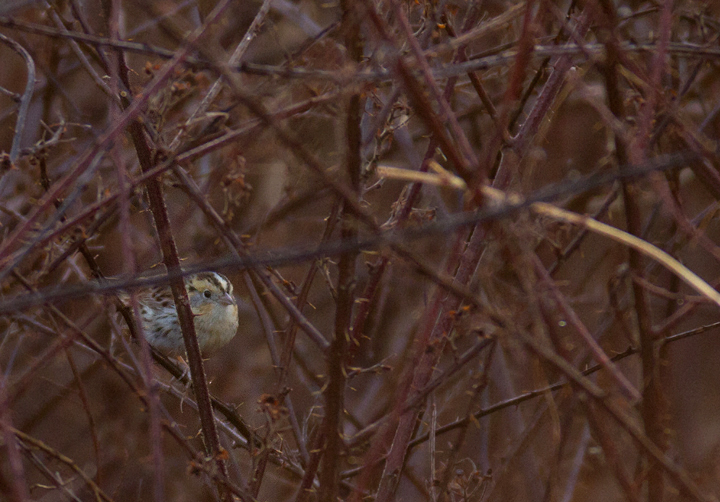 Thanks to Keith for the great find and to Irvine Nature Center for the hospitality. 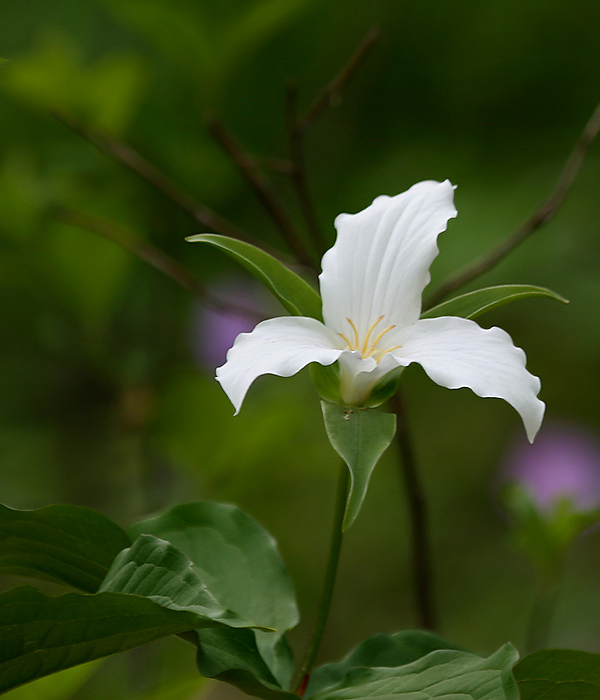 Below: Trillium grandiflorum in Garrett Co., Maryland (5/13/2006). 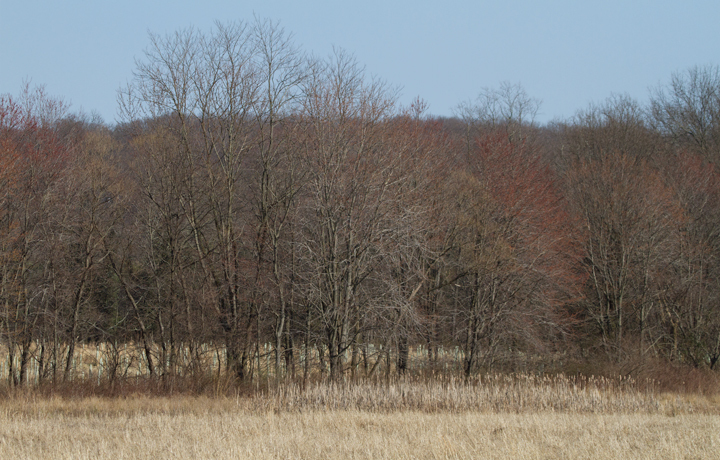 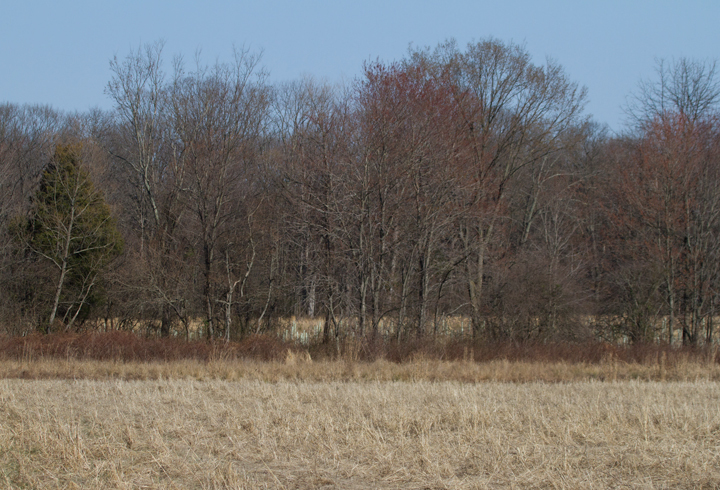 Read Jim Brighton's excellent four-part Trilliums of the Mid-Atlantic. 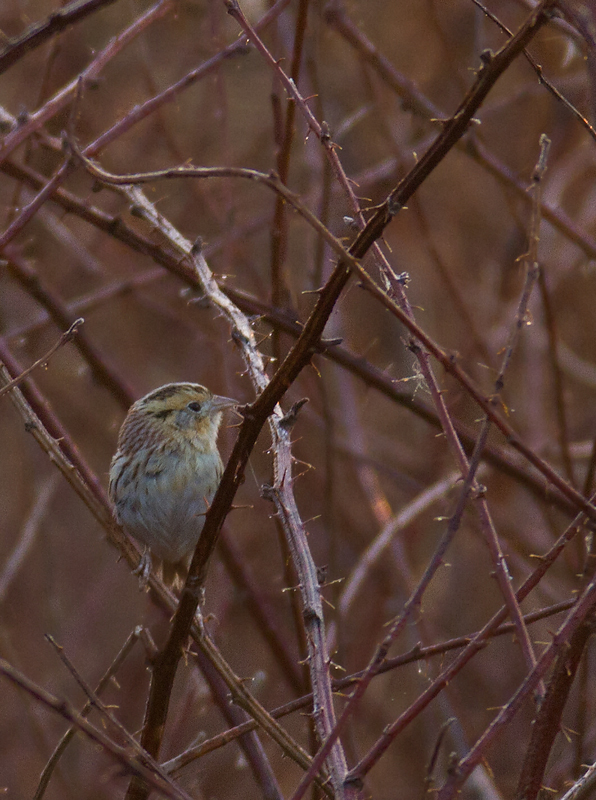 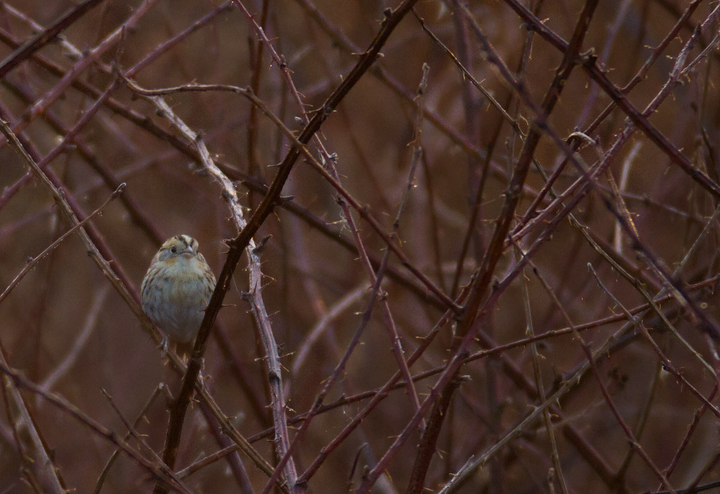 Below: Habitat favored by the Le Conte's Sparrow at Irvine Nature Center.